We previously published an article titled FOLATE INGREDIENTS – FOLINIC ACID & 5-MTHF in which we discuss how coenzyme folate vitamins are far superior to the synthetic folic acid form. In today’s article, I take a more in-depth look at how homocysteine is formed from methionine, how genetics affects the metabolic pathways, and how B vitamins are used in metabolic pathways. One way to look at the metabolic pathways of methionine (an essential amino acid) is that it provides a way for the body to convert this sulfur containing amino acid either to cysteine and its key by-products glutathione, taurine, and sulfates or allows remethylation back to methionine to occur using either the Folate Cycle or the Trimethyl glycine (betaine) pathways. Figure 1 shows these metabolic pathways including the vitamins required at each step including vitamin B6 (as P-5-P), methylcobalamin, and 5-methyltetrahydrofolate (5-MTHF). In addition, it shows the key enzymes produced by the body at each step. These enzymes include CBS (cystathione beta synthase), BHMT (betaine homocysteine methyltransferase), MS (methionine synthase), and MTHFR (methylene tetrahydrofolate reductase). Greater risk for heart problems, including coronary artery disease, heart attacks, stroke, high blood pressure, congestive heart failure, and abnormal cholesterol levels. This is due to increased inflammation, sometimes due to blood clotting spontaneously, and because of blockages of the major arteries. In children, skeletal and developmental abnormalities including having a curved spine or protruding chest and rib cage. Some patients appear very tall and thin, and some might also have very long, thin “spider-like” toes and fingers. Ten or more years ago, questions of how genetics enters into homocysteine metabolism were unlikely to be asked. However, in recent years DNA testing has advanced and is now available to everyone (for example, see my article about Bodysync’s genetic test, DISCOVERING NUTRITIONAL NEEDS THROUGH ADVANCED GENETIC TESTING. 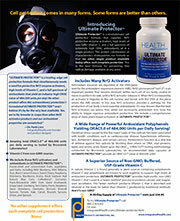 You may have heard a great deal about MTHFR (methylene tetrahydrofolate reductase). This gene is involved in folate metabolism and has a central role in methylation processes like repair of and building new DNA in dividing cells. 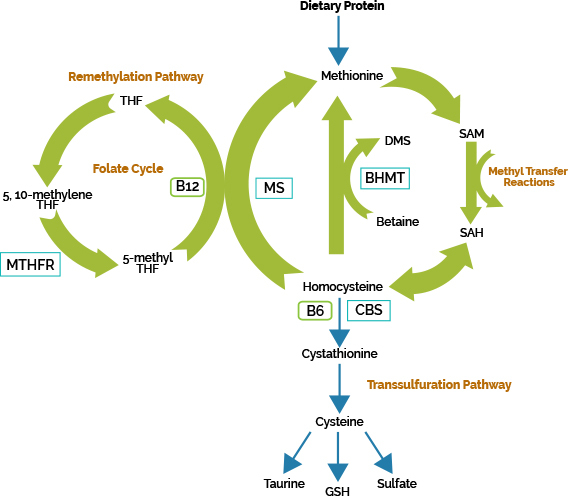 In the remethylation pathway for conversion of homocysteine to methionine, MTHFR plays a key role in converting folate into 5-MTHF which is needed along with B12 as methylcobalamin in order for the conversion to take place. Genetic variations in MTHFR have been studied in depth. Of the many variations studies the most significant ones appear to be variations of C677C such as C677T (referred to as heterozygous) or T677T (referred to as homozygous). The heterozygous variant appears in about 30–50% of the population and causes somewhat less efficiency in the conversion of folic acid to 5-MTHF. However, the homozygous variation occurs in about 10% of the population and can have serious effects due to converting little homocysteine back to methionine. Another variation in MTHFR is called A1298A. These variations are A1298C and C1298C and will have similar effects to the C677C variations. It was interesting to me when I recently analyzed my Bodysync genetic test results showing I carry the variation A1298C (heterozygous), which indicates I may not be effectively converting homocysteine back to methionine. Additionally, my Bodysync genetic test results also indicate that I have heterozygous variations in the CBS enzyme shown in Figure 1, as well as heterozygous variations in MTR and MTRR enzymes, which are involved with B12 levels in the remethylation pathway. These results indicate that I need to take higher levels of methylcobalamin and 5-MTHF. Many of the B vitamins on the market today unfortunately are in synthetic form. The body can only use the natural coenzyme forms effectively. For example, the body needs vitamin B6 in the form of P-5-P (pyridoxal-5-phosphate), folate in the form of L-5-MTHF, and B12 in the form of methylcobalamin for proper metabolism of methionine. In some cases the body can use the synthetic forms of pyridoxine HCl, folic acid, and cyanocobalamin but pays a cost (e.g., in time and energy) by having to convert synthetic forms to coenzyme forms. Add to the prevalence of synthetic B vitamins, the fact that genetic deficiencies are more common than previously assumed, and it becomes clear that the coenzyme forms of B vitamins in the proper amounts are extremely important. Fortunately, I have always believed it best to include as many coenzyme forms as possible in the nutritional supplements I formulate (over the past 27 years). For example, all HPDI multivitamins include coenzymes of B1, B2, B6, B12, and folate (as 5-MTHF and folinic acid). This is uncommon in most multivitamin formulas on the market. For this reason our supplements are ideally suited to the prevention or resolution of most genetic problems regarding homocysteine. In addition, I have always chosen to include higher amounts than most multivitamins on the market. We also make available 5-MTHF one milligram (1 mg) capsules and methylcobalamin five milligram (5 mg) sublingual tablets. When genetic variations are in play as discussed above, then providing relatively higher amounts of coenzyme B vitamins that support important requirements in the body seems necessary. Interestingly, several other nutrients are involved in the pathways involving methionine and homocysteine. These include zinc, magnesium, and Vitamin B2. Our multivitamin formulas and magnesium formulas, especially Myo-Mag with its coenzyme B1, B2, and B6, are recommended to support these nutrient needs. Finally, it has been found that N-Acetyl-L-Cysteine (NAC) can significantly lower homocysteine (by up to 50%), most likely because its gives the body an excellent source of cysteine without have to use methionine. In this article, I have shown the value of the use of genetic testing and high-quality coenzyme B vitamins in resolving health issues associated with high values of homocysteine in the body. DISCOVERING NUTRITIONAL NEEDS THROUGH ADVANCED GENETIC TESTING. We frequently receive questions about our products and share the answers with you on our blog. If you have questions please e-mail us at support(at)integratedhealth.com. We will answer your questions directly, and likely include your question and our answer in a future products FAQ blog article. Q. How Much Protein is in Rejuvenate! Plus and What are the Sources? A. The protein (11.7 gm total per serving) profile in Rejuvenate! 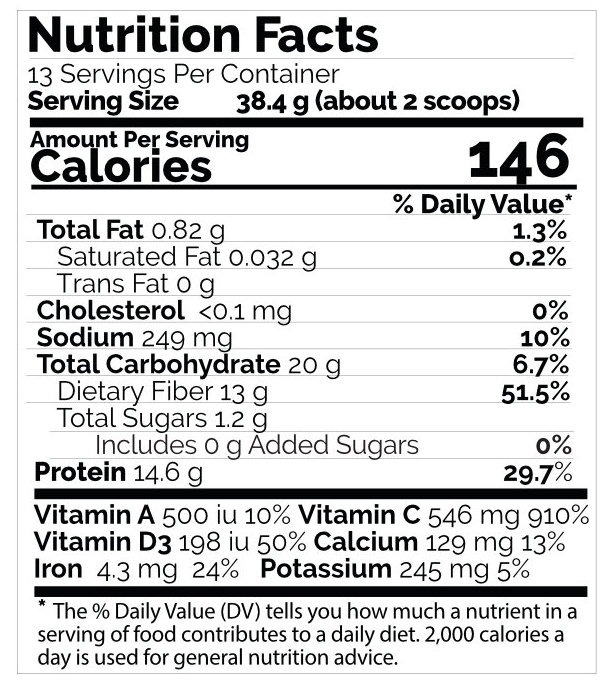 Plus is 30% rice protein (organic & non-GMO), 16% vegetable sprouts/pea protein (organic), 11% hemp protein (organic), 11% protein from chlorella, 9% protein from alfalfa grass, 7% from spirulina (Hawaii Pacifica), 6% from flax seeds (organic), 3% from nutritional yeast, and the rest from miscellaneous other ingredients. This is a beautiful blend of a large number of healthy protein sources!! The rice protein we do use amounts to 5.0 gm per 31 gram serving and is a blend of 80% Orzatein (organic) from China and 47.5% non-gmo grown in California. The net amount of the 80% orzatein (organic) from China in the product is 3.3 grams (a small amount!). Please be advised that we routinely test Rejuvenate! Plus for heavy metals and have never seen significant amounts of any heavy metals. Personally, four members of my family including me take 1 or 2 servings of Rejuvenate! Plus daily and have done so for many years with excellent results. We are very particular about the foods we put in our body!! Q. What are the Sources of Enzymes, Soy, and Vitamin D3 in Rejuvenate! Plus? A. The enzymes are plant based. Protease Enzymes from Aspergillus oryzae ferment. Cellulase Enzymes from Trichoderma oryzae ferment. Alpha-Galactosidase enzymes from Aspergillus niger ferment. CereCalase enzymes (contains hemicellulase, beta-glucanase & phytase) from Aspergillus niger ferment. The product contains d-alpha tocopheryl succinate. This ingredient is characterized as “soy-antigen free” because of the way it is processed. PCR testing reveals no soy protein even though it originally comes from soy. High-gamma mixed tocopherols is characterized as “soy-antigen free” because of the way it is processed. PCR testing reveals no soy protein even though it originally comes from soy. The Vitamin D3 is extracted from lanolin. Lanolin is extracted from wool (sheep). Q. What Form of Vitamin B3 is in Rejuvenate! Plus and will It Cause Flushing? A. There is 40 mg of the B3 in Rejuvenate! Plus as niacinamide. This form of B3 will not cause flushing. Q. What Part of the Aloe Vera Plant is in Your Rejuvenate Plus Product? A. Rejuvenate! 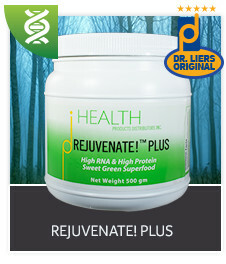 Plus contains Organic ActivAloe® 200:1 from gel that is made into a powder. Q. Do Your Rejuvenate! Products Contain Any Nut or Soy Allergens? 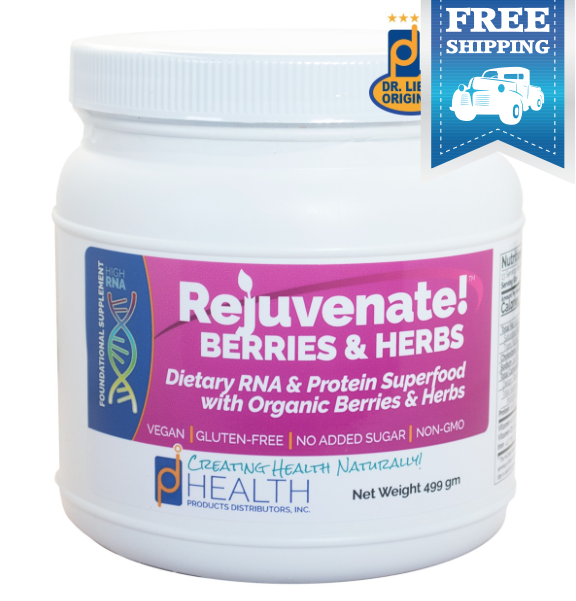 A. I checked with the manufacturer and was assured that there is no soy or nut allergens in the Rejuvenate, Rejuvenate Plus, or Rejuvenate Berries & Herbs products. Q. How Do You Make Rejuvenate! Original Lemonade? A. Rejuvenate! Original lemonade consists of one scoop of Rejuvenate! Original, 2–3 tablespoons of organic lemon juice (fresh or Santa Cruz brand), and 2–3 tablespoons of organic grade B maple syrup. Put these ingredients in a one-quart glass Mason jar and fill with purified water (and maybe some ice made from purified water). Some people like to add a bit of cayenne. This is a great summertime drink! Q. How Much Rice Bran Oil is in Complete E? A. There is approximately 250 mg of rice bran oils per capsule in addition to the Vitamin E. The profile of fatty acids is approximately 38% monounsaturated, 37% polyunsaturated, and 25% saturated fatty acids. This amounts to about 100 mg of polyunsaturated fatty acids per capsule. Very little, but useful! Q. I Want to Know More About the Black Soybean Hull Extract in Ultimate Protector. A. Black soybean hull extract contains a high percentage of polyphenols (greater than 60% and as high as 100%) including 10–45% anthocyanidins, 10–25% catechins, and 40–80% OPC. There is unlikely to be any soy protein or phytoestrogens in the product due to the extraction processes used. (See: http://www.google.com/patents/US8206764). Q. I Want to know How Much Caffeine is in Ultimate Protector. A. A study done on CoffeeBerry extract shows a 0.44% caffeine content. Since each capsule contains 45 mg of the extract the amount of caffeine per capsule is about 0.2 mg (or 1.2 mg per serving of 6 capsules). (See: http://www.nutritionaloutlook.com/news/study-compares-higher-antioxidant-coffee-fruit-extract-coffee-powder). Q. I Want to Know More About the Blue Corn Extract in Ultimate Protector, and if it contains aspergillus mold. A. Ultimate Protector contains an extract of blue corn optimized for the anthocyanidin content. Due to the extraction process, it is unlikely that the final material contains any aspergillus. Also, since there is only a small amount of blue corn extract in the product (I estimate less than 5 mg per capsule) it is even more unlikely that aspergillus is a problem. Q. Does the Vitamin C in Ultimate Protector contain Genetically Modified Organisms (GMOs)? A. The process of producing Vitamin C involves using the starting material of d-glucose derived from plant materials such as corn, beets, potatoes, cassava, etc. (See: http://en.wikipedia.org/wiki/Reichstein_process). Each of these starting materials will contain some protein that could be in part from genetically modified materials. In most cases—especially in the production of USP grade materials that we use in Ultimate Protector™—the protein will be completely removed. As a precaution that no genetically modified protein remains, PCR testing is conducted (See: http://www.nongmoproject.org/product-verification/about-gmo-testing/guidelines/). The Vitamin C we use in Ultimate Protector™ has been tested using this method, and is certified by independent laboratories to contain no GMOs. Q. Is There Any Vitamin E in Ultimate Protector Product? A. There is no Vitamin E in Ultimate Protector. The Vitamin C per cap is 250 mg which is 415% of the Vitamin C RDA. Once in the body, the Vitamin C is able to regenerate oxidized Vitamin E to its unoxidized form. The other main ingredients in Ultimate Protector are plant-based antioxidants (external) and other plant-based substances (called Nrf2 activators) that stimulate the body to make it own antioxidants (internal). 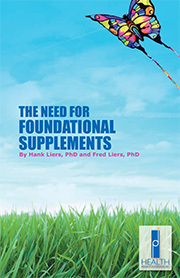 In this regard, it is a very powerful supplement! Q. 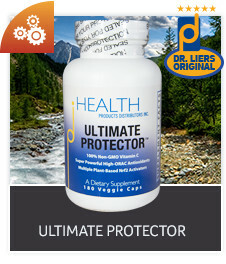 What are the Plant Sources in Ultimate Protector that provide High ORAC5.0 Values? 4) VitaVeggie® from Futureceuticals (http://www.futureceuticals.com/products/vitaveggie®). All of these sources are non-GMO. None of our sources claim organic. This in part may be because they are extracts and as such may have been processed in a manner not considered to be organic. Please consider that this is a nutritional supplement and not a food. Q. 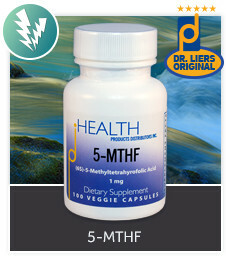 What Form of 5-MTHF Do You Use in Your Products? A. We use only the Quatrefolic form of folate made by the Italian company Gnosis. See: http://www.quatrefolic.com/4thGeneration.html. This contains only the active non-racemic form of folate and no folic acid. Quatrefolic®, provides the metabolic reduced form utilized and stored in the human body – (6S)-5-methyltetrahydrofolate. Q. Why is the Number of Organisms in Your Prescript-Assist™ Formula Low Compared to Other Probiotics? A. It turns out that it’s an example of the old story of trying to compare apples to oranges. SBO (soil-based organisms), the type found in Prescript Assist, are much more hardy and not destroyed as easily by pH differences in your stomach and intestines like the traditional lactic acid probiotics that have crowded the refrigerators in health food stores for many years. Have you noticed that in recent years typical probiotics have gone from 5–10 million CFUs (Colony-Forming Units) to 30–50 million CFUs? Why are all of these probiotic formulas competing on this level? Because lactic-acid based probiotics are killed off by the millions on their journey through your stomach acids and the pH changes in the intestines. Very few make it to their intended target and even fewer colonize there very well once they make it compared to the sturdier SBOs. Soil-Based Organisms (SBO) are extremely hardy and can make this journey with far, far more organisms colonizing their target. They also do not degrade when kept at room temperature for many months. They do not have to be refrigerated like the traditional lactic acid probiotics, which lose their potency and effectiveness quickly when left unrefrigerated or when they are shipped through the mail without dry ice. 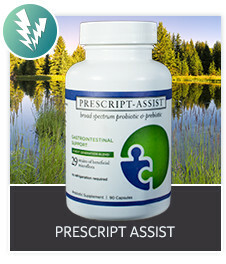 Prescript-Assist goes even a step further by providing prebiotics for the SBOs so that when they arrive in your lower intestinal tract, they have the preferred foods necessary for quick colonization and growth. The 29 strains they have chosen for this product are far more comprehensive than traditional probiotics that have 5–10 strains. A. Over the last 10 years a very large number of people have taken Prescript Assist with excellent results. The overall statistics say that it works and is generally safe. It is true that some people have felt that Prescript-Assist has not helped them and in fact they may feel worse. My assessment of this is that these people have severe gut dysbiosis and experience die-off like symptoms upon taking it. These individuals need to go more slowly and do a detoxification/cleansing program while using Prescript Assist. 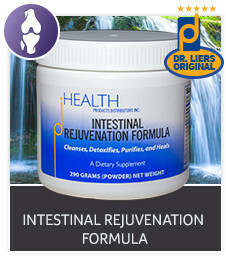 I recommend taking supplements such as HPDI’s Intestinal Rejuvenation Formula, digestive enzymes (Prolyt and Digase), and Dr. Richard Schultze’s Intestinal Formula #1 (if you are blocked, i.e., sluggish bowel). Q. 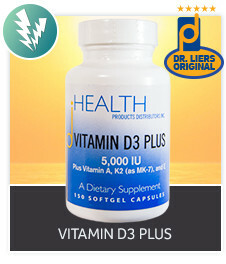 What is the Purity of Fish Liver Oil in Your Vitamin D3 Plus Product? A: I am always careful when formulating any product to minimize any potential toxins. Vitamin D3 and Vitamin A from fish liver oils, as are found in the HPDI Vitamin D3 Plus formula, are highly concentrated sources which means that only milligram amounts are needed. This in itself means that there would be very low levels of toxins. This is verified by testing that shows mercury levels of less than 0.003 ppm, lead levels of less than 0.005 ppm, cadmium levels of less than 0.002 ppm, and arsenic levels of less than 0.004 ppm. By ‘less than’ it means the amounts are below the detection limits. Very low, indeed! Q. Can the Licorice in Your Intestinal Rejuvenation Formula Cause High Blood Pressure? A. 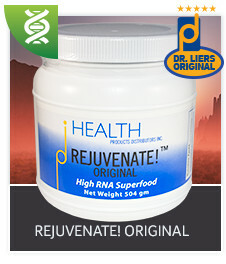 The licorice in Intestinal Rejuvenation Formula is from the powdered root of organically grown licorice. Each serving contains 40 mg. It is highly unlikely that this amount of the whole root could cause blood pressure issues.